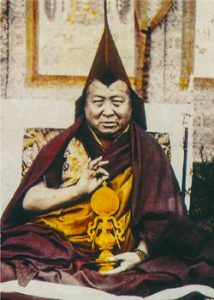 Pabongka Rinpoche, Jampa Tenzin Trinlay Gyatso (1878–1941), was one of the great lamas of the twentieth century. He attained his geshe degree at Sera Monastic University, Lhasa, and became a highly influential teacher in Tibet. 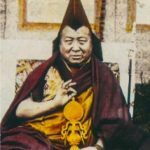 He was the root guru of Kyabje Ling Rinpoche and Kyabje Trijang Rinpoche, the two tutors of the present Dalai Lama, and the teacher of many other Gelug lamas who brought the Dharma to the West after fleeing Tibet in 1959. 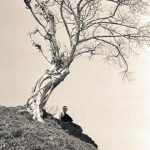 Pabongka Rinpoche's book Liberation in the Palm of Your Hand is one of the primary lam-rim texts in the Gelugpa tradition, and is often recommended by Lama Zopa Rinpoche. 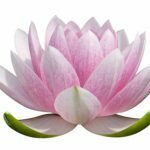 A heartfelt request to the guru for blessings to realize all the stages of the path to enlightenment, as well as a meditation on the nature of the guru. A definitive root text on the seven-point mind training, supplemented by outlines.